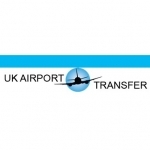 UK airport transfer is a premier private hire service specialising in airport transfers to and from all UK airports. UK airport transfer provides vehicles for private and corporate customers for all occasions and requirements. Our Minicab service is available 24 hours a day every day of the year. We offer the latest technological advances in booking processes and in car comfort and efficiency. We can guarantee you a stress free airport transfer in quality clean taxis that is unparalleled in ease, comfort and cost.